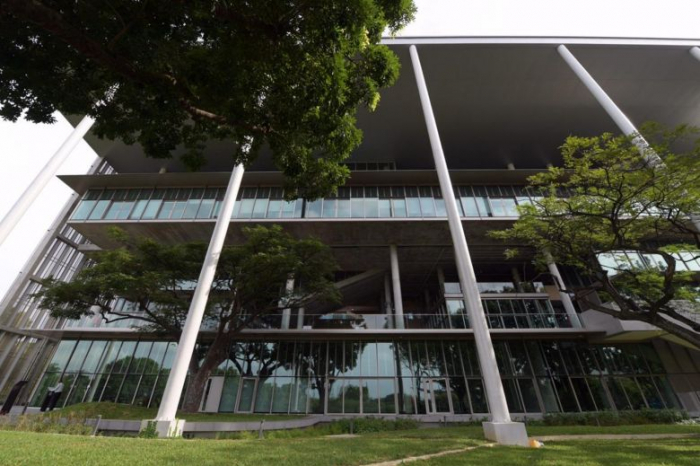 An inventive new building designed to consume only as much energy as it produces has opened its doors in Singapore. The National University of Singapore welcomed students to the six-storey facility in January. It's the first time a "net zero energy building" has been built from scratch in the city-state. Home to the university's School of Design and Environment, the building features an overhanging roof to create extra shade and help keep rooms cool. Any excess electricity that might be generated is fed into the school's main power grid, which also acts as a backup supply for the building. "Everything is plugged back into the grid," said Lam. "Whatever we collect, we bank it in, and then we draw it out for usage. So we keep account of how much comes in and how much goes out every day." At the Singapore college campus, they're also trying to reduce demand for energy by 40-60%. That means the school community will "need to adapt," Lam told CNN Business. In a statement, university president Tan Eng Chye described the new facility as a "living laboratory" that he hoped would "inspire future high-performance buildings and sustainable development designs in Singapore and beyond." It wasn't easy getting the project off the ground. Ten years ago, the concept of a zero energy building was floated, but was ultimately turned down by university researchers and local authorities because of the cost, said Lam. He declined to comment on details of the building's price. And despite the initial skepticism, the dean says he's been encouraged by feedback so far. "The message is spreading. It can be done," he said.